柯文欣 (2009-01-01). “台灣地區區域發展差距之再檢視”. 国立成功大学都市計劃學系學位論文: 1–165. http://www.airitilibrary.com/Publication/alDetailedMesh?docid=U0026-0812200915065747 2017年12月25日閲覧。. ^ a b c d e f g h i j （繁体字中国語） 李晏甄 (2011-01). “台灣南北對立想像的興起”. 臺灣博碩士論文知識加值系統、国立政治大学. http://nccur.lib.nccu.edu.tw/retrieve/79597/401901.pdf 2017年12月23日閲覧。. 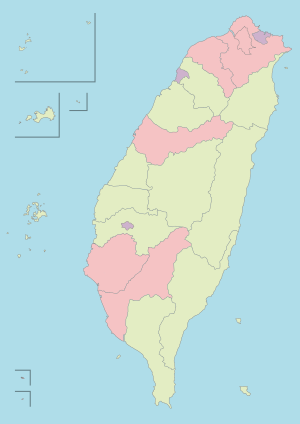 ^ Chu, Tu-Bin; Liu, Tsai-Ching; Chen, Chin-Shyan; Tsai, Yi-Wen; Chiu, Wen-Ta (2005-09-02). “Household out-of-pocket medical expenditures and national health insurance in Taiwan: income and regional inequality”. BMC Health Services Research (Springer Nature) 5 (1). doi:10.1186/1472-6963-5-60. ISSN 1472-6963. ^ （英語） (IMF-WEO April 2017), PPP rate is NTD 15.11 per Int'l.dollar; according , the average exchange rate is NTD 32.258135 per US dollar (the average exchange rate of the year was 32.258135 NTD to 1 USD); GDP per capita figures in USD are retrieved from  and are published by National Statistics of Republic of China (Taiwan).